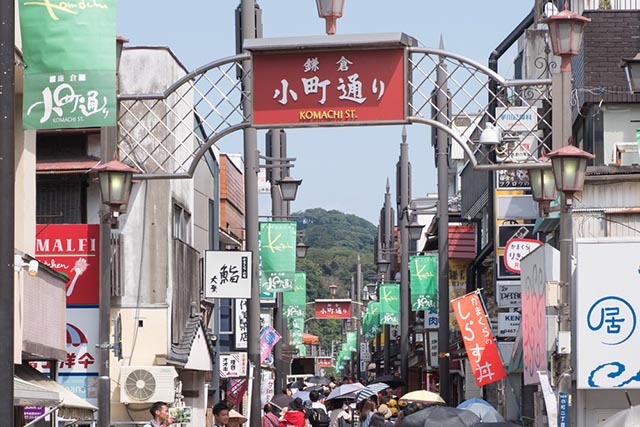 Whether it’s shopping, eating, or drinking that you’re planning on doing while Kamakura, one pocket of the city you can’t go past is Komachi Dori. If the Enoden train line is the central nervous system of Kamakura, connecting the city with the surrounding areas, then Komachi Dori is Kamakura’s heart. To get there take the Enoden line to Kamakura Station, the train’s last stop. As soon as you step off the platform and exit the station to your left, you’ll be welcomed with shops, souvenir stores and restaurants oozing with old world charm this is Komachi Dori. Marked by a large glowing red Torii at the entrance, Komachi Dori is a shopping strip unlike anywhere else. 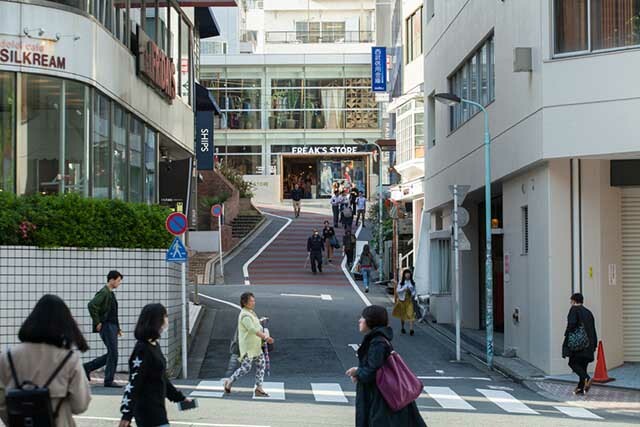 Home to some of the most unique Japanese foods, gifts and other miscellaneous products, simply window shopping along this street is an adventure. If you’re after the perfect omiyage (gift) from your travels through Japan, this is the place to find it. Many stores stock well crafted, authentically Japanese gift items like crafts, pottery, hand towels, fans and and chopsticks as well as classic style snacks like nuts and sembei (rice crackers) that will travel fine. Sprouting off onto a number of smaller side streets, Komachi Dori houses about 250 shops all up so there’s something for every niche. Beyond just souvenir shopping, Komachi Dori is a food mecca. From local restaurants and cafes serving dishes using shirasu (whitebait), to of course the neighboring vegetable market, Kamakura is a culinary wonderland. However one thing the city does particularly well is traditional style sweets. One store you can miss in the area is the Kamakura Mameya situated on the Tsurugaoka Hachimangu side of Komachi Dori. Constantly bustling with locals and tourists this store specializes in special snack beans that come in a variety of flavors and vividly bright colors ranging from the bright green apple to the popular mayonnaise-peanut. The best bit about visit Kamakura Mameya is that you’re able to sample almost every single flavor, but be warned it’s hard not to get a little greedy. As you wander further down the street you’ll pass an uncountable number of store selling sweets of every kind. One of the more ubiquitous desserts on offer is the pastel purple sweet potato soft cream. Thanks to its popularity with both locals and visitors alike, its incredibly cute little desert is now considered a specialty of Kamakura. Sweet without being overly so, this option is one you can’t go past if you want to authentically taste Kamakura. However if sweet potato isn’t your thing, many places also serve the classics like vanilla and matcha, and sometimes a half-half combination of the two flavours. Finally you can’t visit Kamakura without trying kinako, dusted warabimochi. This clear, chewy, but melt in your mouth soft jelly like sweet is sprinkled with nutty kinako powder and often kuromitsu (black sugar syrup). Simple and sweet without being overly so, it’s a Kamakura classic. The best way to get to Komachi Dori is walking via Kamakura station. The station is one of the main transport hubs in the area so there are a number of ways to get there, depending on where you’re travelling from. If you’re already in the surrounding area, like Fujisawa or Enoshima, then catch the Enoden line and ride the train to its final stop at Kamakura. If you’re coming from Tokyo you can catch the JR Shōnan-Shinjuku Line from Shinjuku station or the Yokosuka Line from Yokohama and Tokyo stations.